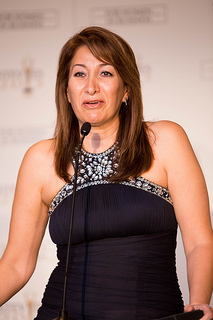 ERA Environmental Management Solutions is proud to announce that Sarah Sajedi, CEO and Director Research and development, has been awarded the Silver Stevie Award for the Woman of the Year in Technology Leadership. Sarah accepted the award last Friday November 8th in New York. The Stevie Awards are an international organization that recognizes entrepreneurs and innovators from around the world for their significant contributions to their industries and for setting new trends. This Stevie Award adds to Sarah's glowing accolades she has recently garnered, including the 2013 Sara Kirke Entrepreneur of the Year Award and an RBC Women of Influence National finalist position.